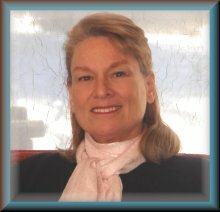 * Listen to this ” Historic Kathryn E. May, PsyD LAST ” – channeled message recorded on 4/6/14.http://www.blogtalkradio.com/channelpanel/2014/04/06/our-historic-last-channeled-callSananda announces that April 15th will be the beginning of the end of this phase of Planet Earth; this experience of human kind. After April 15th, there will be no more 3rd Dimension… on April 15th, everything in the world will change. St Germain: “Should the RV be not by April 15, we will intervene – you will receive our Announcements that your Galactic brothers and sisters are here above you .. they will show themselves..” April 15: the turning point. Kathryn E. May, PsyD has been asked by Spirit to serve as “The Voice of Mother/Father God.” In this capacity Kathryn has brought us timely messages from both Father and Mother God, Prime Creator, Sananda, St Germain, Ashtar and other Cosmic Guests. Today’s landmark call opens the portal to our Ascension. Sananda announces that April 15th will be the beginning of the end of this phase of Planet Earth; this experience of human kind. After April 15th, there will be no more 3rd Dimension… on April 15th, everything in the world will change. Prime Creator: “You have accomplished the unthinkable… My Being is you. My essence is you. My Love, is You! We are instructed to continue our own Harmonic Ascension meditations repeat our daily mantras, every hour… to do our own inner work. There are no more teachings needed; all has been given.